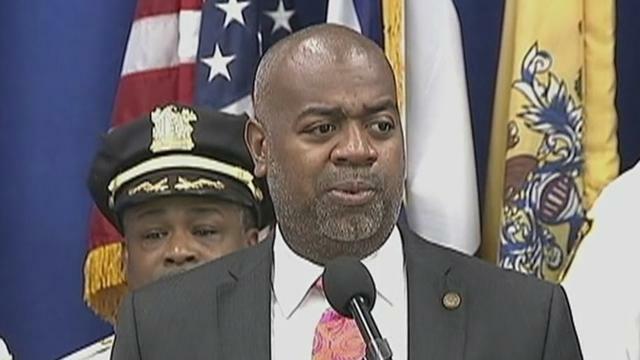 Residents of New Jersey's largest city might find themselves showered in cash, as Newark Mayor Ras Baraka says the city will study a pilot program to provide universal basic income (UBI) to all residents whether or not they have a job. "We believe in Universal Basic Income, especially in a time where studies have shown that families that have a crisis of just $400 in a month may experience a setback that may be difficult even impossible to recover from," said Baraka during last week's State of the City address at the New Jersey Performing Arts Center, noting that 1/3 of the city lives in poverty. UBI has been floated as a solution to mass unemployment predicted to come from automation. It's also a great way for politicians to get votes - and is a major component of 2020 Democratic presidential candidate Andrew Yang's platform. The 44-year-old businessman calls UBI a "freedom dividend," and has promised to provide $1,000 a month to every person in the United States over the age of 18 at an annual cost of roughly $2.8 trillion - funded in part with a 10% Value Added Tax that would raise around $800 billion per year. "[M]y plan, the Freedom Dividend, would give every American adult $1,000 per month, $12,000 per year, starting at age 18. This would create millions of jobs around the country and allow families and individuals to help manage this historic transition that we're in, in terms of technology transforming the labor force," Yang told CBS News last week. California Sen. and 2020 presidential candidate Kamala Harris proposed a state bill last year that would provide middle class and working families an annual tax credit of up to $6,000, which could be accessed in the form of a monthly check of up to $500. Meanwhile Gov. Gavin Newsom says he supports pilot UBI programs. In February, Stockton, California launched a UBI program - sending $500 debit cards to a select group of residents the city once dubbed "America's foreclosure capital." As the Sacramento Bee notes, it was also the largest city to seek bankruptcy protection before Detroit's massive 2013 filing. The city will send 130 lower-income adults $500 per month for 18 months and closely monitor how it affects their spending and saving habits - along with other factors such as quality of life and financial stability. The experiment has been bankrolled in part by a $1 million grant from the Economic Security Project - a network organization which has raised over $10 million to fund and explore UBI programs, according to the Bee. Another $2 million for the program is coming from individual donors. Exactly where Stockton would find the money for a city-wide program has yet to be determined. In Finland, a two-year UBI trial which ran in 2017 and 2018 made headlines worldwide as a test of UBI's viability and social impact - giving $630 to unemployed people only to see if it would prompt more people to enter the workforce. A preliminary report covering the first year of the trial found that it did not, as people were not motivated to seek jobs out of fear that they would lose their UBI stipend. That said, while it didn't stimulate employment - the free money predictably made people happier. The people who actually worked for that money, perhaps not so much.